Hey everyone and welcome back to my NFL and general sporting blog. Since it is week eight of the NFL season I wanted to add a jersey from one of our rookies to my collection but I couldn’t find whose jersey to get. I found lots of second hand Steelers jerseys for sale including most of the rookies but it can be really hard decision as you don’t want to be left with a jersey from a player who left after one season. That’s why I have compiled this list of all 7 rookies and what they are doing/have done this season. I will also include undrafted free agents at the bottom. Burns was seen as a reach to many Steelers fans who wanted a cornerback but saw much better prospects on the board at 25 on day one but in the week after the draft it was revealed that Burns was the number two cornerback in the Steelers board after Will Johnson was selected by the Cincinnati Bengals. Steelers coaches were excited to see how Burns leadership skills would transfer from his home problems where he had to raise his sibling (Check the ESPN Website). Burns has had one outside start for the Steelers but has started as the nickel back for 1 game as well. In 8 games Burns has recorded 19 solo tackles, 3 assisted tackles and he recorded his first NFL interception in the most recent game against the Baltimore Ravens. Burns in breaking the mold of Steelers defensive rookies not starting or even getting playtime and it seems to be working, slowly working but working nonetheless. Back to back secondary picks is what Steelers fans including myself have been asking for for years. Davis spent his last year at Maryland playing cornerback after the team lost some players and did really good, good enough to warrant being a hybrid type player for the Steelers secondary that has looked woeful for the past couple years. He was immediately put into the lineup for the Steelers at nickel and dime backs, and quickly earned a starting spot when veteran safety Robert Golden went down. Davis will be in a Steelers jersey for a long time I hope. 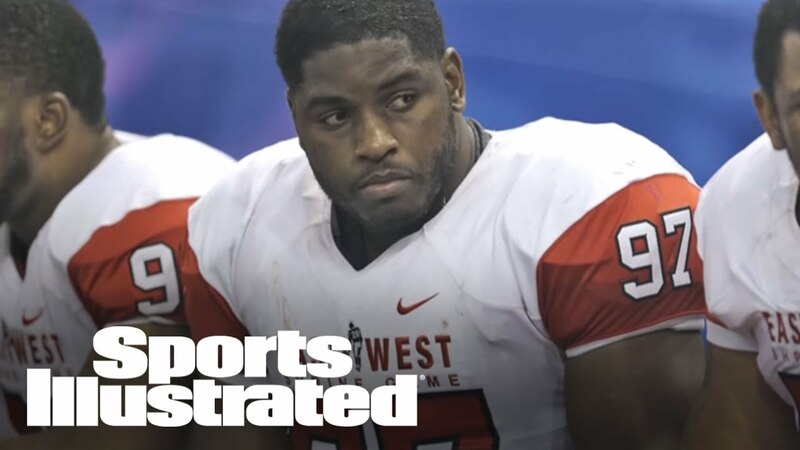 Javon Hargrave was the most exciting name to hear called this draft for Steelers fans. Many expected him to be gone in the first but somehow he lasted until almost the end of the fourth where the Steelers could not pass him up. Hargrave has been a day one started and everyone is hoping he will take over from Hall of Great defensive tackle Casey Hampton. A day one starter, Hargrave has been an immediate contributor with his 6 foot 1, 307 pound frame bolstering the middle of our defensive line. Hawkins in a long limbed tackle drafted to help shore up the less than stellar tackle position. After picking up Ryan Harris in free agency, the Steelers still needed help and they addressed it. Hawkins played both sides of the line in university so he is expected to be a quality depth player all along the line. Unfortunately due to a shoulder injury Hawkins received season ending surgery in September and was placed on the injured reserve list and will not be available to the Steelers this year. Feeney has been unnoticed in Pittsburgh, mostly because he was transferred to the practice squad as early as September 4th. With Pittsburgh trying to shore up their linebacking core picking Feeney makes sense, and hopefully he can continue to develop on the practice squad to eventually rejoin the team next year, or possibly in 2018. Feeney was one of the most athletic linebackers in the draft, with the top 40 yard dash time and the top 60 yard shuttle among all linebackers. The Steelers hope to use Feeney’s speed to reach the quarterback with the imminent retirement of James Harrison. The Steelers sent Brad Wing to the Giants in return for their round 7 pick and were able to pick up both Ayers and Matakevich in the final round. Ayers has been on the practice squad since the last round of cuts but was beat out by second year receiver Cob Hamilton for the next roster spot. Matakevich; who was voted the best linebacker in football last year; is currently backing up Vince Williams on the depth chart and looks to improve if he can bulk up. Well that about wraps up all of the rookies from this year’s draft. I didn’t have time to cover the UDFA players but maybe I can do that after my next installation of ‘That’s a Sport?’.